Penn State announced today that their new online master's degree in human resources and employment relations (HRER) is accepting applications for the summer 2008 semester. The online master's degree program is centered on the growing challenges of hiring and retaining talented employees, managing complex benefit plans, and staying up-to-date with labor laws and employment relations trends. The HRER degree allows busy human resources professionals to stay employed while earning an education that can advance their careers. Students can choose a concentration that best meets their professional goals: benefits and compensation; employment and labor law; labor and collective bargaining; or staffing, training and development. This online program allows students to earn a master's degree that hits at the heart of our profession--working with people and maximizing employee potential. 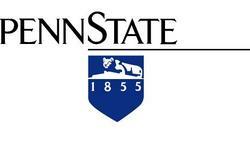 Penn State is now accepting applications for their new online master of professional studies degree in human resources and employment relations (HRER) that begins in summer 2008. The 33-credit master's degree program is available online and allows busy human resources professionals to stay employed while earning a degree that can advance their careers. The course work is designed to help working human resources professionals improve their understanding of key issues in the field and improve organizational performance in today's business environment. "Even though there are plenty of ways for HRER professionals to get online professional development, we've had significant interest in our program," said Paul Clark, lead faculty member for the program and head of the department of labor studies and employment relations. "This online program allows students to earn a master's degree that hits at the heart of our profession--working with people and maximizing employee potential." The growing complexity of benefit plans, the changing nature of labor laws, and the increasing emphasis on hiring and retaining talented employees are among the major challenges for professionals in the field. In light of these challenges, a master's degree is becoming an increasingly important credential for HRER professionals. Penn State aims to help more people attain this goal without having to leave the workforce. The Bureau of Labor Statistics predicts almost all human resources-related occupations to grow more than 20 percent, and more than 1 million professionals are expected to be employed in the field by 2014. Penn State's new program will prepare students to meet a wide range of duties in the private, public and non-profit sectors alike. Penn State's master's degree program highlights the changing nature of the HRER field, including the impact of the globalization of private and public organizations and the growing importance of diversity in the workforce. Students will be required to choose a concentration in one of four areas: benefits and compensation; employment and labor law; labor and collective bargaining; or staffing, training and development. Penn State has a long history of excellence in HRER. "Our online master's degree program is a great addition to our long tradition of HRER education programs which date back to the 1940s," said Clark. "(Penn State College of the Liberal Arts) has graduated thousands of students who have gone on to successful careers in the human resources, employment relations, and labor fields. Some of our alumni include the director of global human resources for Corning, Inc, the manager of employee relations for Honda North America, and the executive director of the Screen Actors Guild." Information about the online Master of Professional Studies in Human Resources and Employment Relations is available on the online program website. The Penn State College of the Liberal Arts educates more than 5,000 undergraduates in 43 majors and over 800 graduate students in 16 programs, in addition to being the largest provider of courses for Penn State World Campus. In all of these areas, the College builds on the classical foundations of the liberal arts to engage in the pressing issues of today.